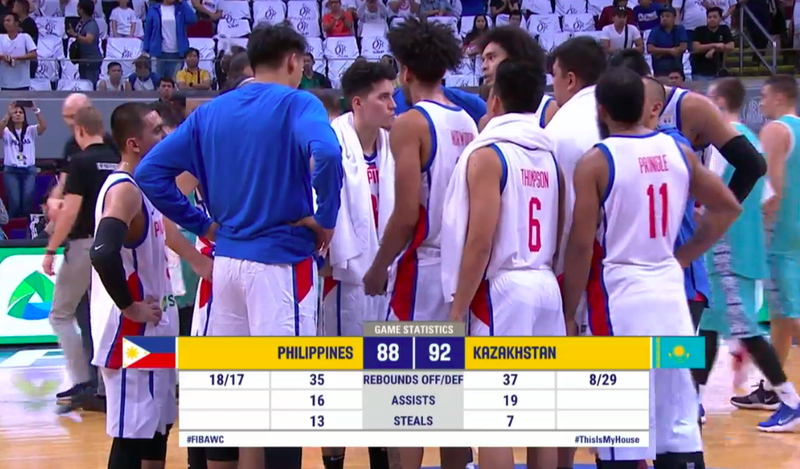 Kazakhstan(4-5) upsets Gilas Pilipinas(5-4), 92-88 in the 5th window of the FIBA Basketball World Cup 2019 Asian Qualifiers on Friday night at the Mall of Asia Arena. 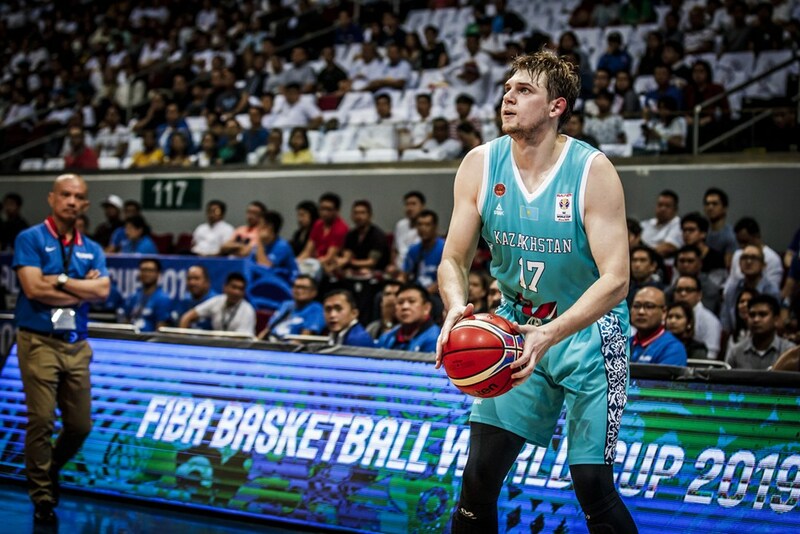 24-year-old Alexandr Zhigulin led the Snow Leopards with huge 30 points on 6-of-12 shooting from the 3pt line. Stanley Pringle erupted for 29 points. 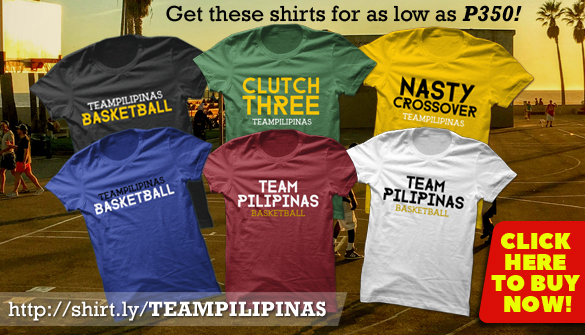 Gilas next takes on Iran(6-3) in a crucial matchup on Monday, Dec 3. 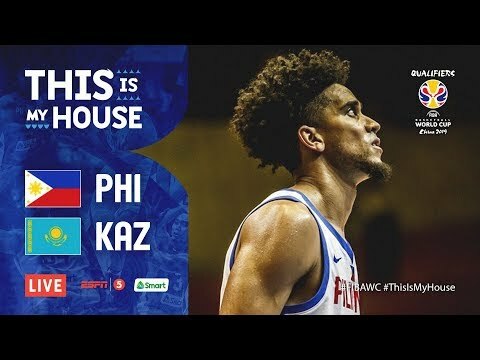 KAZAKHSTAN 92 - Zhigulin 30 (6/12 3pts), Bykov 20 (8/11FT), Murzagaliyev 11 (3/5 3pts), Yergali 10, Bazhin 9, Kuanov 8 (2/2 3pts), Marchuk 4, Lapchenko 0, Gavrilov 0, Chsherbak 0. 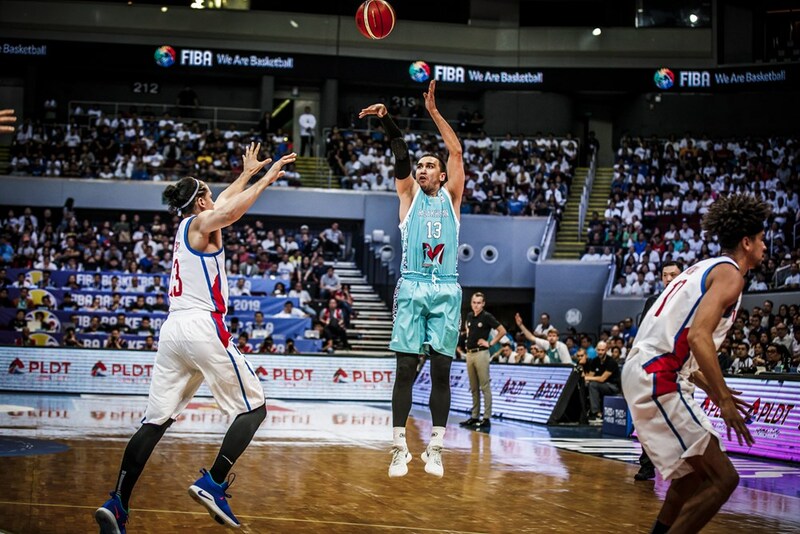 PHILIPPINES 88 - Pringle 29 (11/23FG, 4ast), Fajardo 14 (13reb), Lassiter 13 (3/4 3pts), Tenorio 8 (2/5 3pts), Norwood 7, Thompson 6, Wright 5, Aguilar 4, Erram 2, Belga 0, Cabagnot 0, Slaughter 0.